The Allahabad High Court would, by December have the necessary infrastructure for 50 more judges to function efficiently. This step comes after the Chief Justice’s remarks over augmentation of infrastructure for the judiciary. Chief Justice R.M. Lodha had outlined a five point agenda with the new Government coming into power. One of the major agendas included augmentation of infrastructure and greater allotment of funds to be utilized for law and justice. Read the livelaw story here. These remarks had put the Law Ministry into action, which held a review meeting with the Supreme Court’s committee on court management, headed by Justice H.L. Dattu. Law Ministry has reportedly approved the strength of the High Court at Allahabad to be raised from 160 to 200 judges, and also conveyed to the Supreme Court that it can appoint 50 more judges. The pendency of cases in the courts is becoming a major issue of concern, with as many as 3.20-crore pending cases in courts throughout the country. Shortage of judges is a usually termed as the chief reason for this pendency, with more than 3,300 vacant posts, as against an approved strength of 17,715 judges. Suggestions have been pouring in from a lot of dignitaries. In the beginning of this year, soon after assuming the highly regarded post of the Chief Justice of India, Justice R.M. Lodha stunned the country with his revolutionary vision of a speedy and free justice delivery system, which works “365 days a year”. However, this proposal is getting a mixed response, the debate raging throughout the country. In a letter to Chief Justice of India, R.M. Lodha, former Central Information Commissioner, Mr. Shailesh Gandhi had revealed his deep concern for the huge pendency of cases in Courts throughout the country and also suggested measures which might be useful in formulating an amiable solution to the problem. His letter termed this delay as collapsing of the entire machinery of rule of law. The National Court Management Systems (NCMS) Policy and Action Plan, released by the Supreme Court in September, 2012 deals the judicial reforms that are the need of the hour. As regards allocation of budget towards the third pillar of democracy, the report had evidence to support the contention that States have been making negligible provision in the Budgets towards law and justice. Hence, states need to provide requisite resources for development of judicial infrastructure. Complete judicial reform would necessitate visualizing the entire gamut of more judges, fast track courts, and the issue of capability and professionalism of those within the judicial system, to deploying new information technology systems, as something that needs to be promptly institutionalized. A sound judicial system isn't just about delivering justice — it also affects economic interests as an effective legal system can alleviate some aspects of political flux, including security and law and order issues. Hence, any society with deep flaws in its justice delivery system wrecks citizens' faith in the processes and institutions of the state. Delivering justice, thus, is a foundational standard of a nation; and on that obverse; it won't be unfair to state that India is in the midst of a crisis. The report clearly states that reforms in just one sector wouldn’t be much of use to deal with the crisis that the country is facing presently. Whereas this is a welcome step towards tackling the problems plaguing the judiciary, judicial reforms in all the aspects, keeping in view the bigger picture is the need of the hour. 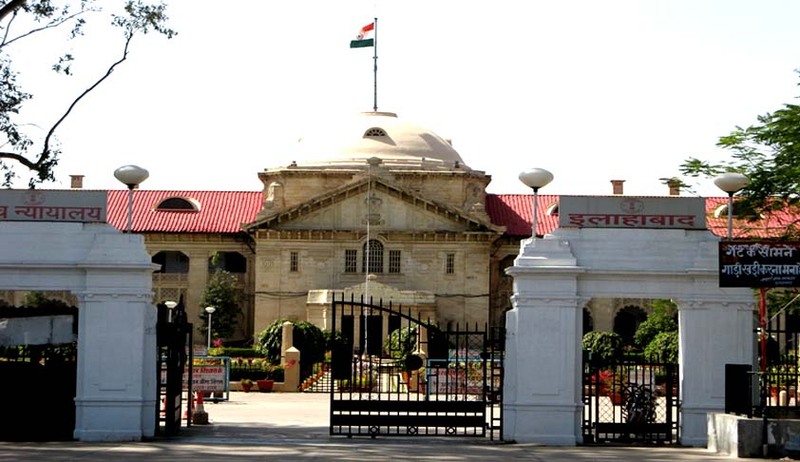 Legal News India, Allahabad High Court News, Supreme Court of India, Indian Legal News.